Printing wedding invitations on your home computer is a choice that could save you lots of money. Today, printers can make an invitation look as though it was done at a print shop. Of course, if you want raised print or engraving, you would have to go to a professional shop. 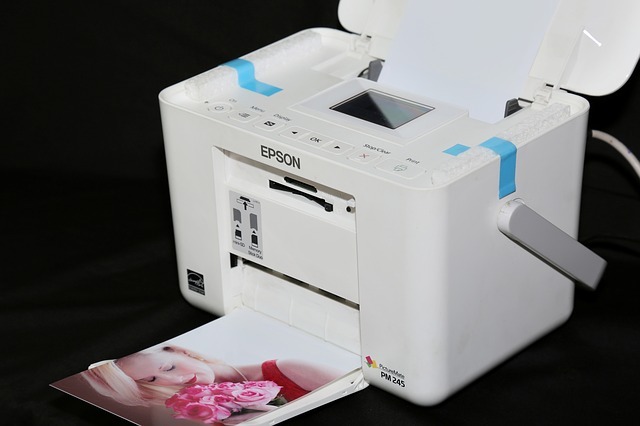 There would be no way for you to duplicate that type of printing on a typical home printer. Although if that is not a "must have for you", you can print a very nice invitation for a fraction of the cost. There is a huge number of paper and print companies that supply printable blank invitations. Almost any style can be found with just a little bit of digging. Craft shops such as Michael's, Hobby Lobby and even WalMart have some selections. I will caution you to be careful to read the instructions for printing and follow it closely. In each kit there is usually an extra one or two for mess ups, but you don't want to load your printer only to find that you've destroyed more than you have to spare. Even a plain invitation can be made elegant with a little embellishment such as ribbon, charms, stamps and wax on the envelope as a seal. Your imagination is the limit! Note: Charms, wax or any such thing that would add weight to the invitation, will most likely add to the cost of postage. Stay away from colored ink unless your wedding is casual or the color brings your wedding colors into play and give an elegant look to the invitation. A small amount of color can also highlight certain elements. Use it sparingly and remember this is a wedding invitation and not a party invitation, so keep it simple and elegant. Before deciding, think about this: The invitation is received by the guest, it gets read, it gets put in a stack of other mail, then it gets tossed out. The people that actually keep an invitation are few and far between. And even those that are kept for sentimental value are put away in a scrapbook that gets looked at once every 10 years. So my advice would be to spend the money on something that would have more long term value such as your wedding photos.